From the first time I ever used a notebook from Life, I was a fan. Everything about them appeals to me. Their product design is top notch, their product quality is extremely high and their paper is a dream to write on. In fact, I don’t think I’ve ever used a Life product that has disappointed me. 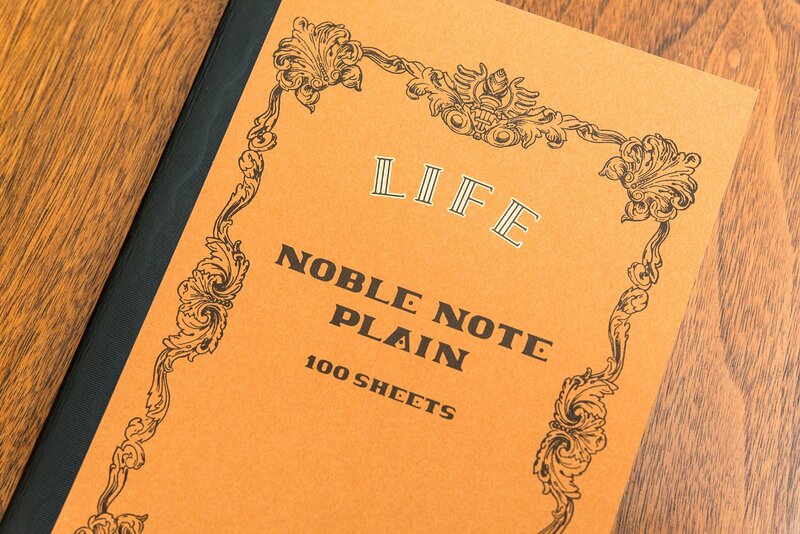 Today I want to take a look at their top-of-the-line premium notebook, the Life Noble Note. This notebook makes a great first impression. Before you ever even open it, the elegant decorations on the cover set your expectations for quality high. From the delicate scrollwork to the gold-accented Life logo, it screams “Premium”. Open it up and you won’t have anything standing between you and your writing. There are no flyleafs, no index, just the first page of the notebook, ready for whatever your pen has in store for it. Speaking of which, the paper feels extremely smooth, similar to what I’d expect from high-quality Japanese paper. 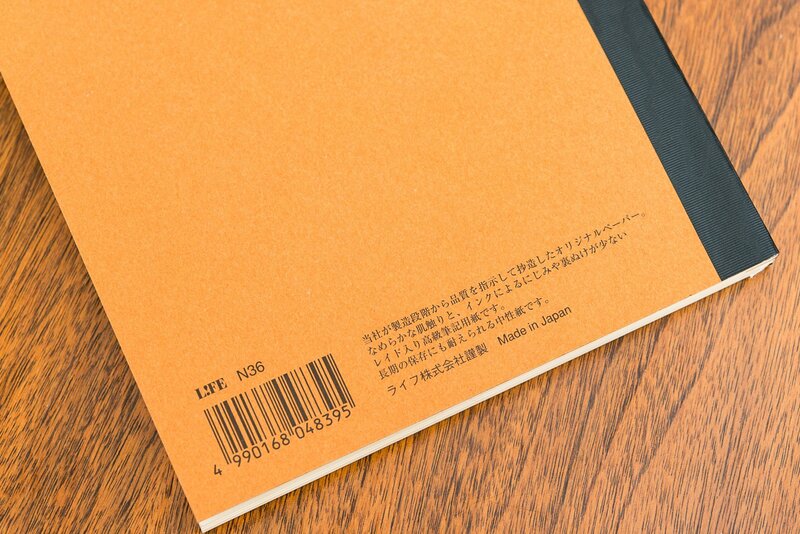 The cover detail on this notebook is very attractive. Even a premium notebook needs to have the specs to back it up. Let’s look at some details for the Life Noble Note. The stitch binding on this notebook should hold up very well over time. Let’s start with a quick discussion about the different products that are available. The Noble Note comes with either blank, lined or grid pages.  The blank, which you see here, is named the Noble Note Plain and is only available with a brown cover The lined is named the Noble Note Ruled and is only available with a blue cover. 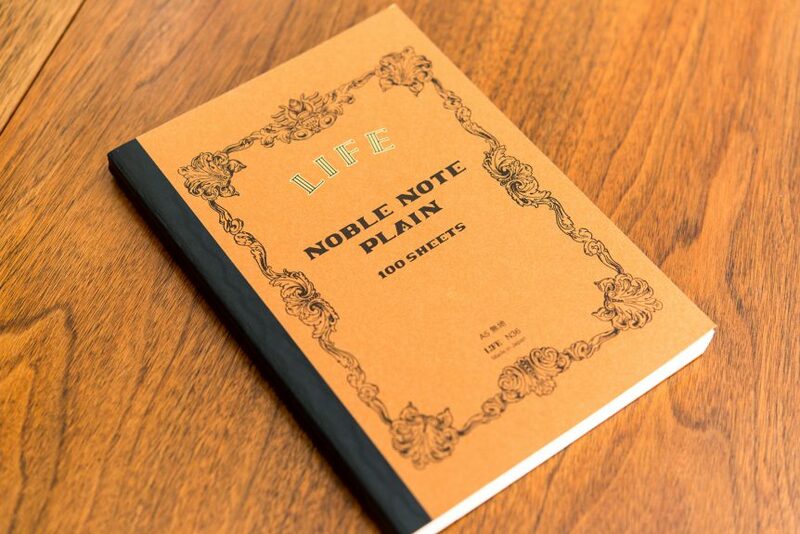 The grid is named the Noble Note Section and is only available with a red cover. All three are the same notebook and only the ruling style is different, so don’t let the names throw you for a loop. 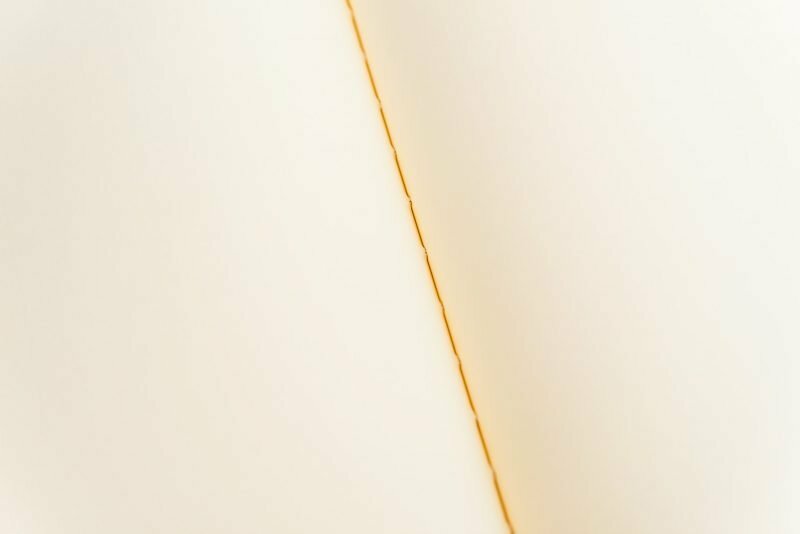 This blank notebook is the Noble Note Plain. Now, on to the actual use of this notebook. This truly a premium notebook. While it doesn’t have many extras, it does have amazing paper. This paper is extremely smooth to write on, but not so smooth that you’d call it slick. In a direct comparison with Tomoe River, I would say it feels just as smooth, but does have a tiny bit more resistance. 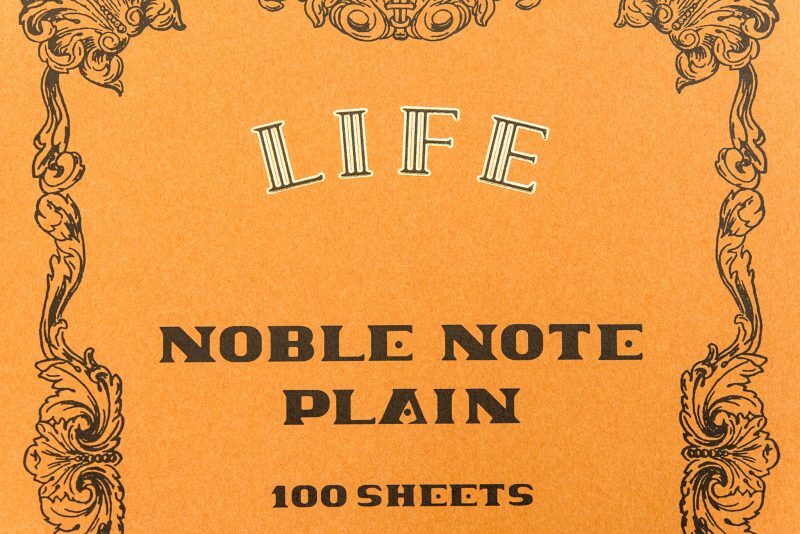 Life Noble paper also shows a great amount of sheen. It’s not sheeny as Tomoe River or Graphilo, but to be honest nothing is. If you want sheen, this notebook will not disappoint you. It does have fairly long dry times, but this is pretty typical with high-sheening paper. Writing Sample – Front: You can see there is good shading and no feathering in any of these writing samples. As for the other properties of this paper, it does show a good amount of shading. It also has some ghosting, but not so much that it should be a big distraction if you choose to write on both sides of a page. In all of my writing, with one exception I didn’t observe any feathering or bleeding.  Writing Sample – Back: You can see a bit of ghosting, but no bleeding. The one exception to the no feathering is that Life paper seems to be sensitive to skin oils. On parts of the paper where I got some skin oils (maybe I touched my face and then the paper) the ink would usually feather. Keep in mind, I didn’t experience this where my hand normally touched the paper during normal writing, only when I touched skin that had a bit more oil on it, like my face. Here you can see the area inside of the box feathered due to skin oil on the paper. I will say that I found this notebook harder to lay flat than other similar notebooks. I think the reason is that this notebook has four large signatures compared to other similarly sized notebooks that have up to twelve small signatures. The larger signatures do not offer as much flexibility, which means that if you are writing on a page in the middle of the signature it is more likely to not easily lay flat. Here you can see the number (4) and size of the signatures in this notebook. When you think of a luxury notebook, the Life Noble Notebook should be one of the first notebooks that pops into your head. The overall look and design of the notebooks is fantastic, the paper is amazing and the price is surprisingly reasonable (for a premium notebook). While it is a bit disappointing that the large signatures keep it from easily laying flat, I don’t think it’s a deal breaker. 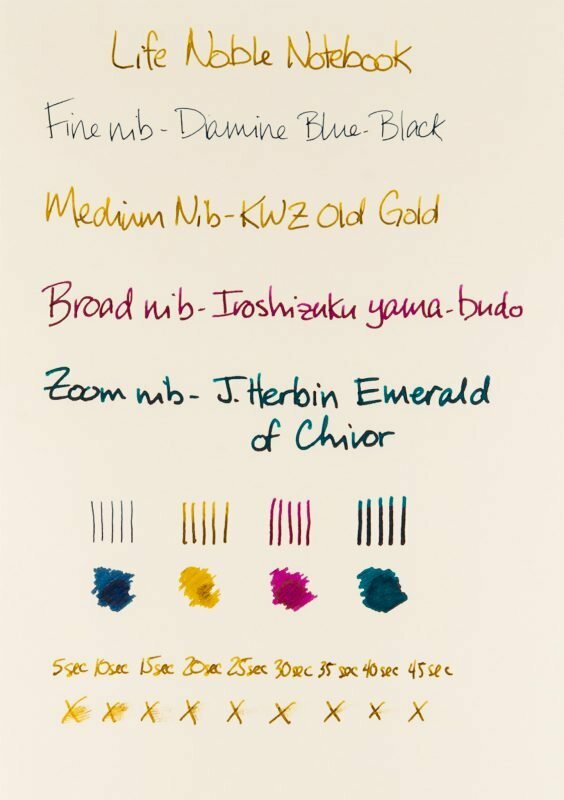 Even with the sensitivity to skin oils, I still think that this is some of the best, most fountain pen friendly paper you can buy. 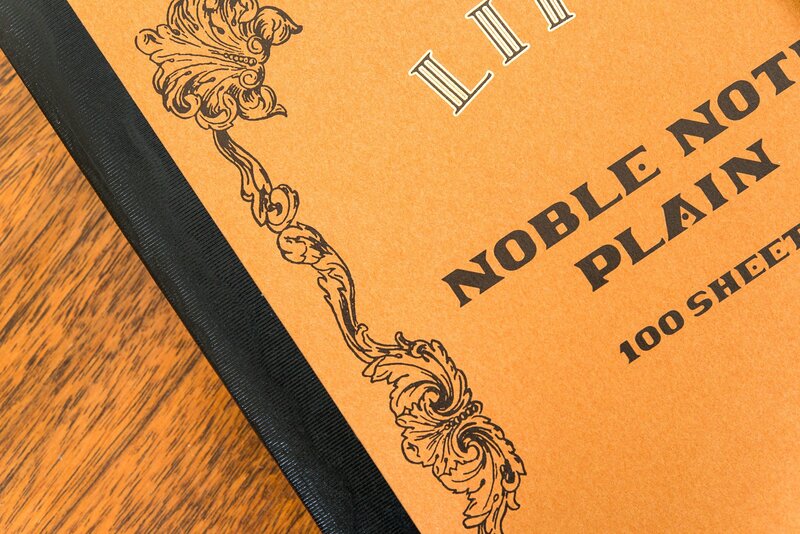 If you want a premium notebook, the Life Noble Note should be one of your top contenders. 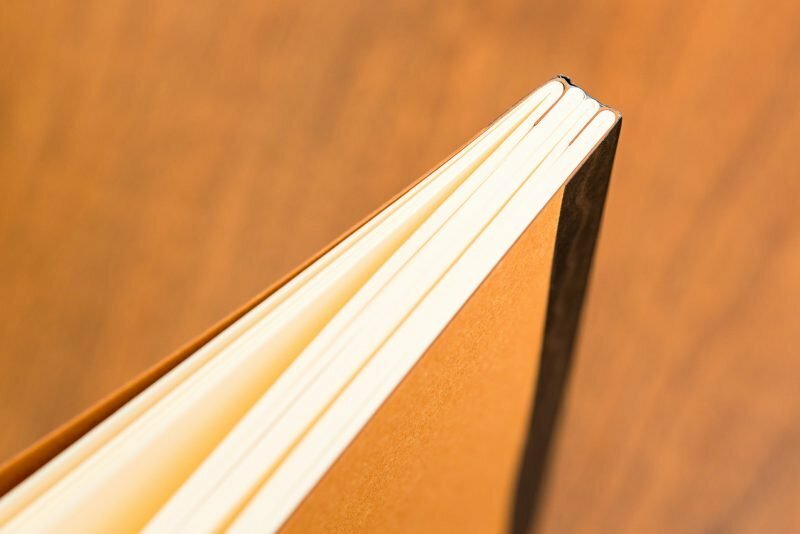 Interested in trying this paper before buying a notebook? Head over to my shop and pick up a paper sample pack. Who this notebook is for: People who want a premium notebook that looks the part. John, you must be a workaholic – always busy. I appreciate a good notebook but not if it involves a mortgage. I write songs and use notebooks for lyrics – first take, not the polished version. Being a tidy person I like the notebooks to be the same size etc (but not neccessarily the same colour) so they can sit together on a shelf. It’s important for me that the book stays open and flat, so I use doublespiral binding. I have a Moleskine notebook but I’m scared to use it. I write in cheaper ones. When you roadtest notebooks would you please mention the usual price. Dollars will do. That way I can judge the relative cost. Does Walmart or similar sell notebooks? How do they compare with upmarket notebooks? Noel, these are definitely not cheaper notebooks. I do mention the cost per sheet (based on what I paid) in the info at the bottom of the review, so that should allow you to judge the relative cost. I don’t like to give a hard cost because it can and does vary depending on where the notebook is purchased. For example, you could get one of these right now at Vanness Pens for $20 or on Amazon for $15 or at a local shop for $18. Where you ultimately purchase it will have a big influence on how much you end up spending. I think the only place you’ll be able to find these locally are boutique or specialty shops, so no big box retailers like Walmart or Target. An online retailer is definitely your best bet. I have been following your blog for quite some time. I have always been a crazy enthusiast about desk accessories, and stationery has always stolen my heart. Im more of a chick pretty stationery girl. And looking a list for the same, it would be great if you could curate one.